I've only been here once, it was interesting. I didn't really know what to do and no one helped me out lol but the food was pretty good. And the waitress and cooks were super nice. It was a tad bit pricey, but if you're really hungry it pays off. I'd recommend to try it. Great place to eat. Kids eat free grill meals all day on Tuesday's! Lots of healthy options and fun recipe ideas. Perhaps I just have been spoiled with other Mongolian places outside EC. I found this place overpriced, not great quality ingredients and food. 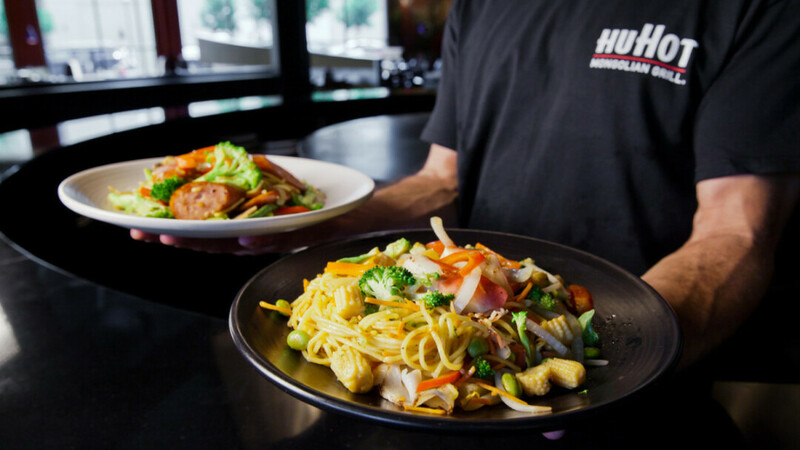 Miss the original Secret Garden in Altoona but Hu Hot has a place in the Community. Love the Asian salad. Good variety on the fix'ins bar and good variety of sauces. With grill masters would finish the plate with a douse of house sauce so food isn't so dry. I really enjoy this place but wish it was cheaper since the customer has to prepare most of it themself. I also wish they allowed one take home box instead of just throwing out leftovers.